Bats are extraordinary mammals. Not only do they serve a vital ecological role, they help support our local economies. Furthermore, there are several interesting and impressive facts about bats that will open your eyes to their amazing ways. For instance, did you know that bats are the only mammals on Earth that are capable of true flight? That means that bats are the only mammals that can actually fly like birds. There is much more to learn and love about bats, but there are also certain warnings you should be aware of, especially if you live near woods or a year-round body of water. Bats can also be a nuisance animal to homes and buildings. Not only can they squeeze into tiny openings and cause structural damages to properties, they pose a long list of health and safety risks to both people and pets. Basically, bats are wonderful in nature, but you do not want them to become a nuisance problem around your house. Continue reading to learn what you need to know about abating nuisance bats this winter. Bats in the Kentucky regions hibernate for the winter. Their hibernation period generally begins around mid-October, but can sometimes be delayed until the temperatures begin to remain under 40 degrees Fahrenheit. Once in hibernacula, bats remain in a torpor-like state until spring emerges with warmer weather. So how does this affect you as a homeowner? Bats look for warm, private, safe areas to hibernate for the winter, and our homes are a common target. Bats are small, and can fit through openings as little as 3/8th of an inch, giving them access to attics, rafters, walls, roofs, garages, crawl spaces, basements, and more. Torn screens and vents, loose shingles, missing chimney caps, damaged weatherproofing, thin layers of insulation, crumbling mortar, and rotted siding are common entry points for bats. Once inside, they will soil everything with their droppings, which is not only unsanitary and structurally damaging, it also poses the risk of Histoplasmosis. 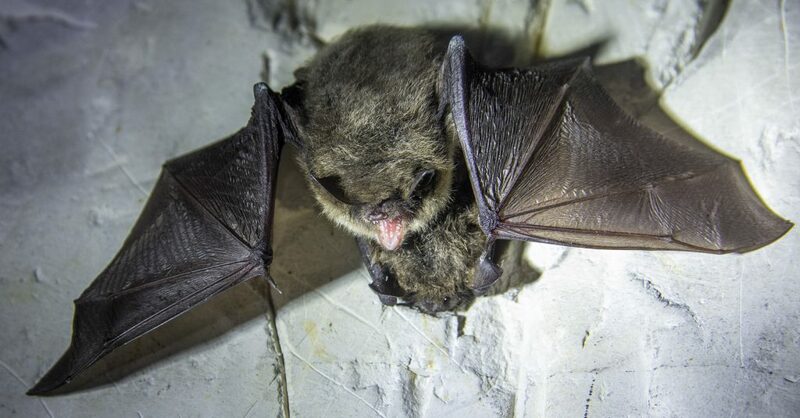 Histoplasmosis is a fungal disease caused by inhaling airborne spores that grow on bat guano. These spores can get into ventilation systems and travel through the interior living quarters of the home, putting everyone at risk of developing this serious respiratory disease. Furthermore, bats are known carriers of several infectious diseases, such as Rabies. They also carry and spread pests, such as lice, mites, ticks, and fleas. To abate bats in the winter, you need to implement preventative maintenance before they go into hibernation. This includes having your home inspected and sealed by a professional Louisville bat control company. But if you already have a bat problem on your hands right now, it is not too late to deal with it effectively. Call 502-553-7622 for prompt and professional Louisville bat removal and control you can trust. We are DNR licensed wildlife control contractors who provide residential and commercial bat removal services at competitive prices. Whether you have one bat or an entire colony, we are fully equipped to manage any job regardless of size or scope. 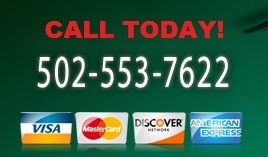 Request a free estimate or advice, anytime. This entry was posted in Bat Control Services and tagged bat hibernation, bat removal Louisville, bats in the attic Louisville, Histoplasmosis bats, remove bats louisville, winter bat removal. Bookmark the permalink.